My Honeybee Cardigan is dry and fits perfectly, but no pics yet, as I haven’t shopped for buttons yet. With the sweater done, Instead of finishing another WIP, I’ve decided to whip up a last-minute Christmas gift. I casted on last night and am already almost halfway done. I have almost 7 inches knit, and this cowl is meant to be 15 inches tall. I might make it shorter, I’m not sure yet. 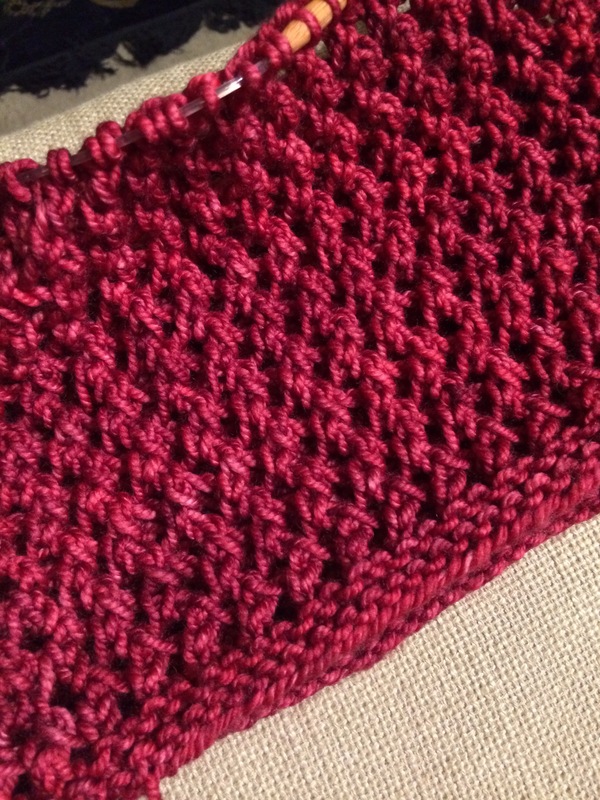 This is my second 5th Avenue Cowl by tenten knits; it’s very simple but really lovely, I think. The yarn is Madeleine Tosh Chunky in the Vermillion color way, left over from my Alpengluhen cardigan. It’s so soft and lovely to knit with!